Stations to keep players active and engaged. 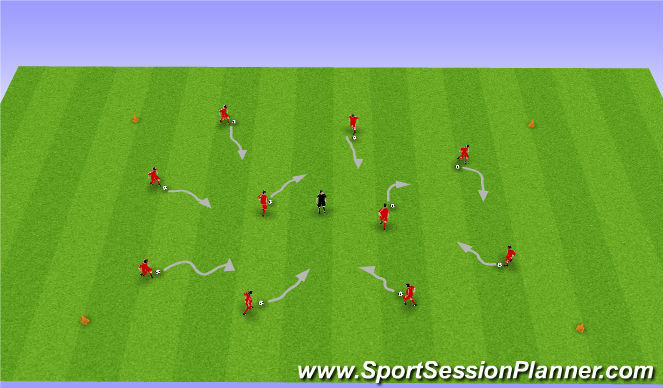 Instructions: Dribble around the cones and finish with a shot on goal (1 point for a goal). There are different variations of dribbling besides around the cones you can use, I will go over them at the session with you. 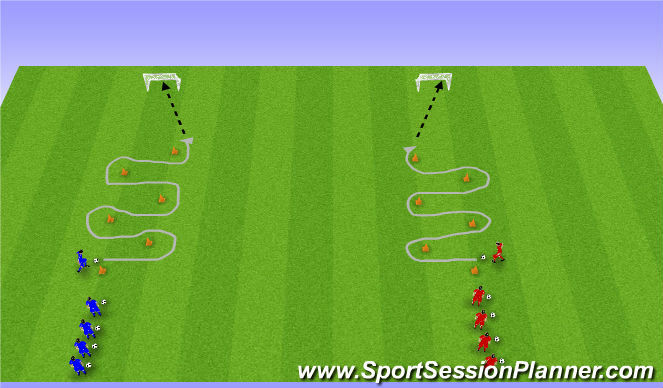 after the 1st player goes past the last cone then the next player in line can go. 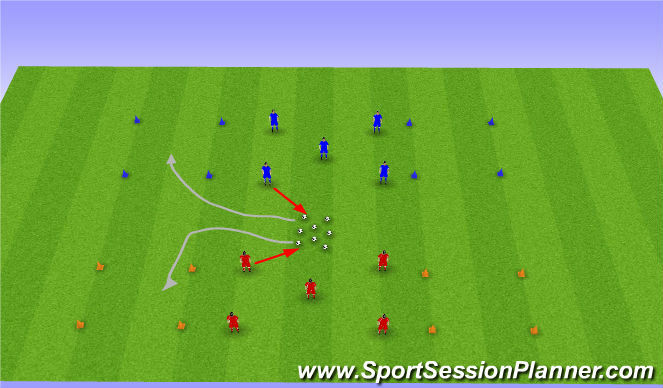 Set up: As shown above, players each have a soccer ball and make a circle around the coach. Instructions: Coach yells out a "Simon Says" comand and players follow. Start with easy comands first. 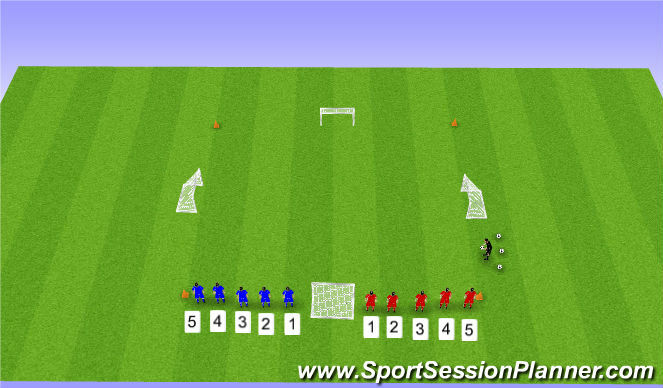 Example: Foot on the ball, touch the ball with left hand, sit on the ball, knee on the ball etc..
Set up: As shown above, players each have a soccer ball and dribble inside the square in different directions. Instructions: As they dribble coach calls out comands like pick up the ball and juggle it 2 times, get a partner and use 1 ball to hold the ball between each others heads, between each others back, get into a group of 4 and form the human letter B while laying on the ground dance around the ball (If needed give an example). I can give you more ideas of comands prior to the session. Set up: As shown above, 4 small squares in the corner about 3x3 yards, 8 balls in the middle. Players from both teams try to dribble the balls to their squares and leave them there. They have 2 minutes to put as many balls as they can in their squares, they can steal the balls from their oppenents squares once there are no more balls in the middle. Red team dribbles the balls to the red square and the blue dribbles the balls to the blue square. Set up: As shown above, 7x7 square, 4 goals and players lined up on the goal line. Instrucitons: Players on both teams are given a number from 1-5. When coach calls out a number those 2 players with that number go in and play 1 on 1 until the ball goes out of bounds or someone scores. Coach can call out multiple numbers as well to create 2v2&apos;s or 3v3&apos;s etc..